Welcome to the Great Rift Company! We do a little bit of everything, mostly connected with the outdoors. 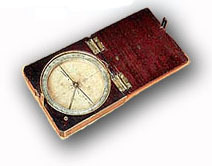 On this website, you'll find a great array of free or inexpensive outdoor resources & software . . . Ski Camping How to keep from freezing your...well, you-know-what! Idaho Paddler's Website. 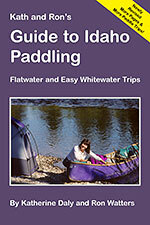 This is a special website which supplements the book Guide to Idaho Paddling. Here, you'll find updated information on Idaho rivers, including any changes to rivers that might have occurred since the latest edition of the book was published. Included also are new paddling trips - and for folks in Northern Idaho, we've added much more to the paddling summaries included in the book. Guide to Outdoor Literature: Totally free. The web's largest resource with reviews & information on the best outdoor books: new and old. Main Page Outdoor Book Reviews - Reviews of new and upcoming books, reviews of outdoor classics, reading recommendations and more. 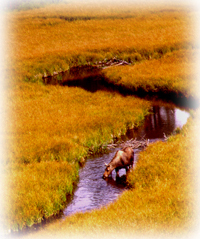 National Outdoor Book Awards (NOBA) NOBA is the largest and most prestigious book award in the outdoor world. Information on the latest winners. The Outdoor Experience Reading List This is a list that I've assembled and use in my Outdoor Literature, a course that I teach for college credit. 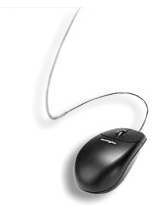 and links to all of our software program. AnyOrder A shareware program for small internet or mail order businesses—or any business that needs to process orders received by phone, mail, web or email. Outdoor Resources (Informational articles, equipment lists)..
Photoshop Helpful Information: It's nearly impossible to find this information: how to determine the opacity or transparency of an image; and an illustrated guide on how to reduce image transparency or increase image opacity. More Photoshop Information. One process that is not explained very well in the Photoshop help documentation is how to combine or merge paths. Here's how. 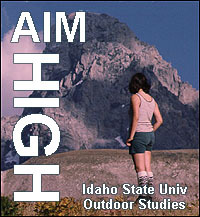 Idaho State University Outdoor Studies. If you - or if you know of someone - who is interested in the outdoors and who is looking at potential colleges, you’ll want to check out Idaho State. 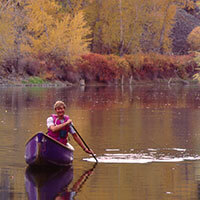 Idaho State has a great major in outdoor education. Or even if you not interested in majoring in Outdoor Education, it's a wonderful place to get a good education and enjoy the outdoors at the same time.